With her shining smile, bright eyes and fresh face, actress Joan Leslie had an innocent girl-next-door appeal. But during her career at Warner Brothers during the 1940s, Joan Leslie held her own in top films with major actors such as Ida Lupino, Humphrey Bogart and James Cagney. She was a full-fledged star by age 17. And it all began on the stage when she was nine years old. Joan Leslie—then Joan Brodel—was part of a sister act, with her sisters Mary and Betty, known as the Three Brodels. The sisters traveled the United States and Canada; singing, dancing, doing impressions and playing instruments, according to a 1999 interview in the book “Movies Were Always Magical” by Leo Verswijver. 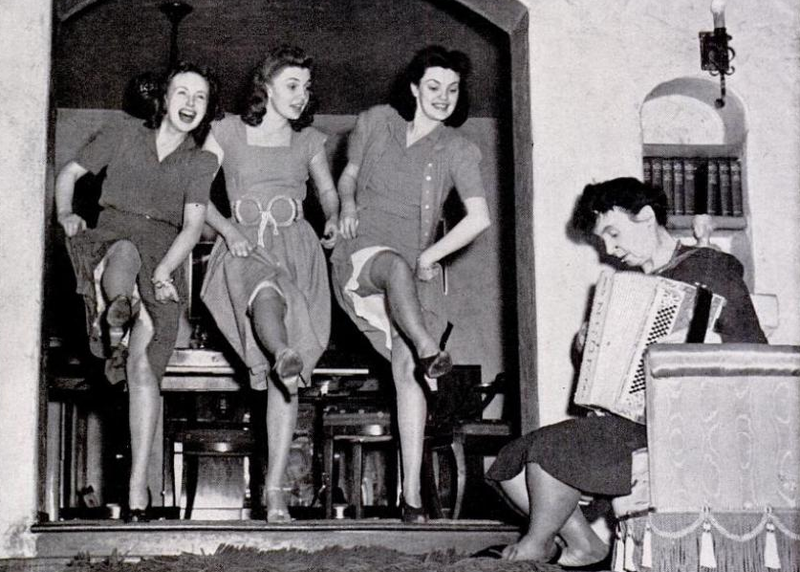 Joan played the accordion and did an impression of actress Greta Garbo. While performing in New York, an MGM scout saw Joan and signed her to play a small role in the Greta Garbo film “Camille” (1936). In film, Joan, 11, played Robert Taylor’s little sister. She had one line, welcoming him home as he arrived at her first communion. As she continued to get small, uncredited roles in films such as “Nancy Drew—Reporter” (1938), “Susan And God” (1940) and “Foreign Correspondent” (1940), Joan changed her last name from Brodel to Leslie so she wouldn’t be confused with actress Joan Blondell. Pictured with her sisters and mother in for a LIFE magazine photo spread. But her big break came at age 15. Joan got the role of Velma, a young girl with a club foot, in the Howard Hawks directed film “High Sierra” (1940) starring Humphrey Bogart and Ida Lupino. In the film, Bogart is a criminal on the run, and when he meets Velma, he wants to help her get an operation for her foot. 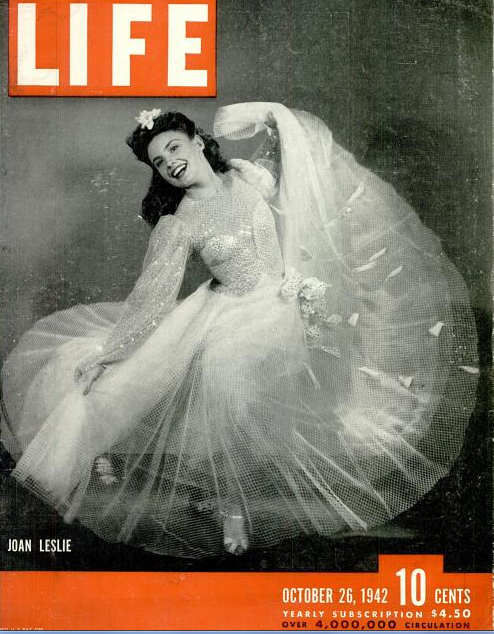 By age 17, Joan Leslie was on the cover of the Oct. 26, 1942, issue of LIFE magazine. “Joan Leslie: girlish and unassuming, at age 17 she shines brightly as a full-fledged movie star able to sing, dance and act,” the magazine headline said. Joan Leslie on the cover of Life, Oct. 1942. By this time, Leslie had starred with Bogart a second time in “Thieves Fall Out” (1941). Still in her teens, she played the love interest to top stars such as Gary Cooper in “Sergeant York” (1941) and James Cagney in “Yankee Doodle Dandy” (1942). “When you talk about working with the best, I’ll always remember Jimmy Cagney. What a creative, dynamic person he was,” she said in the 1999 interview. Both Cooper and Cagney received Academy Awards for Best Actor for their respective roles. “I never was nominated but I don’t feel I did anything up to that caliber,” she said. In most of her roles that followed at Warner Brothers, Joan Leslie exuded a persona that was the young, innocent, sweet girl-next-door. “I was merely being myself in the 1940s, that’s what it really was,” she said. However, because she was so much younger than her peers such as Cagney, Olivia de Havilland, Henry Fonda and Bogart, she said she never felt like she was a “chum” to any of these stars, but was also never scared or in awe while working with them. 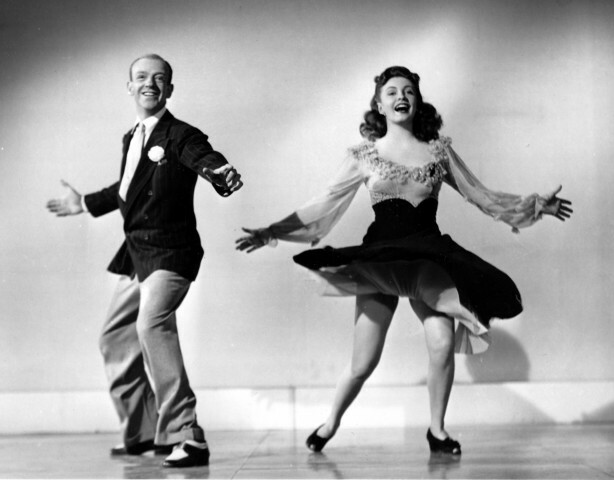 Like many other actresses, Joan Leslie danced at the Hollywood Canteen during World War II with the soldiers. Art imitated life as she starred in the film “Hollywood Canteen” (1944) as herself. 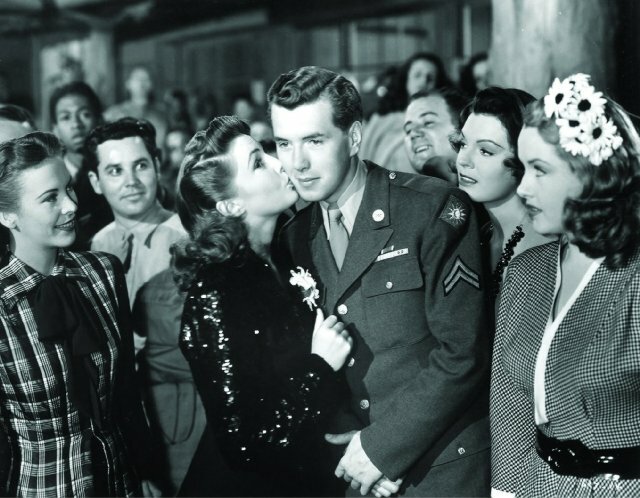 In the film a soldier, played by Robert Hutton, wins a date with Joan Leslie and the two end up falling in love. In 1946, Joan Leslie was voted No. 1 in a Future Star poll, but becoming quality roles were scarce for her. This largely was because she sued Warner Brothers for control of her contract, believing after the age 21 she should be able to pick better parts. Warner lowered her billing in some of her films and blackballed her name with other studios. “I always liked to play a certain kind of part as a certain kind of person and I don’t find that very much anymore. The business has changed so much,” she said in 1999. 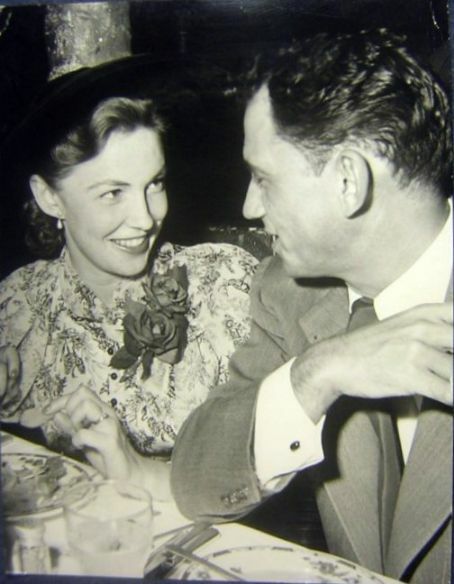 Joan Leslie with her husband William Caldwell, MD. However, once Joan Leslie married obstetrician William Caldwell, MD, in 1950, her interest in Hollywood started to fade. When the two had twin girls, Patricia and Ellen, Joan stopped making films and concentrated on her role as a mother. After her career, she was involved with parish work, the Los Angeles Public Library’s after-school reading program, and the advisory board of the Damon Runyan Cancer Fund, according to her obituary. Dr. Caldwell passed away in 2000 and Miss Leslie passed away at age 90 on Oct. 12, 2015. This entry was posted in Star Deaths, Star Profile and tagged Joan Leslie, Joan Leslie death, Joan Leslie Marriage by Jnpickens. Bookmark the permalink. I believe Patrice and Ellen were fraternal twins. There are many twins in my family lines. As memory serves me, Joan was one five sisters in all. I have never seen Camille all the way through. I had no idea she was in it. Thank you for reading, Ashley! I believe Joan’s part is at the beginning of Camille, but it has been a long time since I have seen it! very good article– excellent job as always, Comet ! Thank you for reading, Russ! Great post about Joan Leslie. I had no idea she was a child actress prior to her roles in Yankee Doodle and Sgt. York. Thanks for the information. Nice to see an actress who knew the importance of family life, who didn’t end up with multiple divorces, additctions, etc. Very nice piece Jessica! 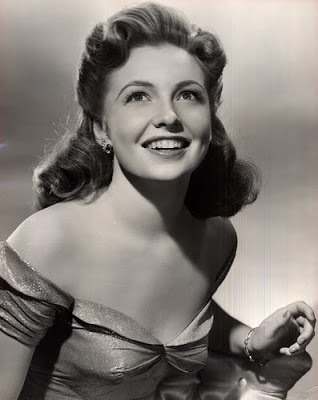 I’m sad that Joan Leslie passed but it seemed like she lived a good life. I didn’t know some of these particulars, including her fighting for better roles, so this was really interesting.